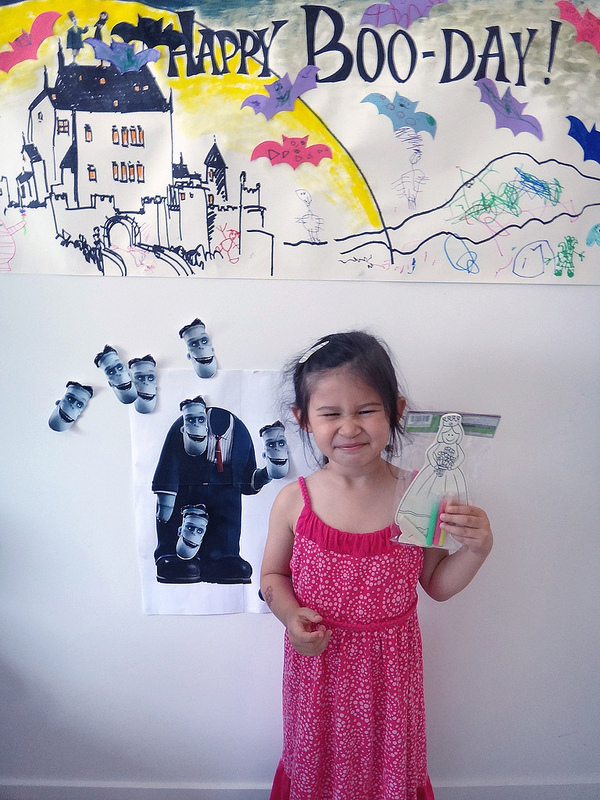 My daughter Jade absolutely adores the animated movie Hotel Transylvania. 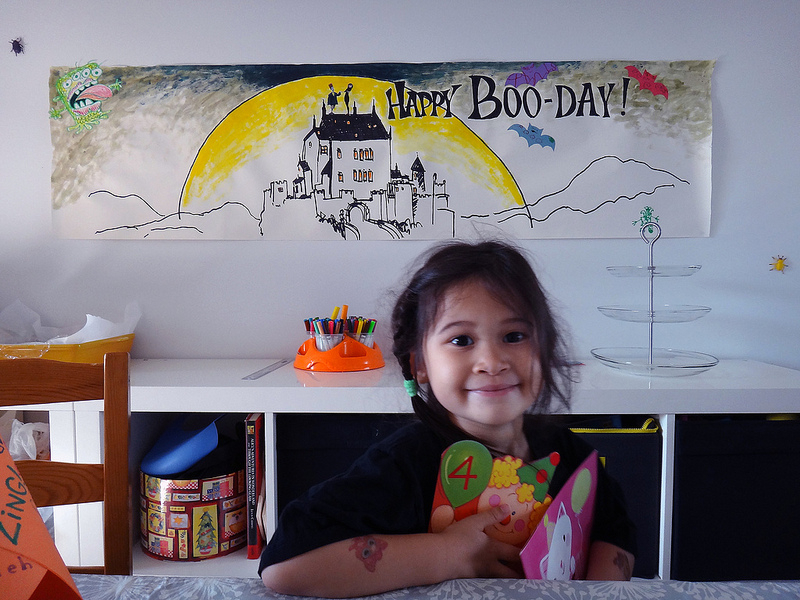 It made a super fun theme for her 4th birthday party. Enclosed are a few memorable pics from the day. 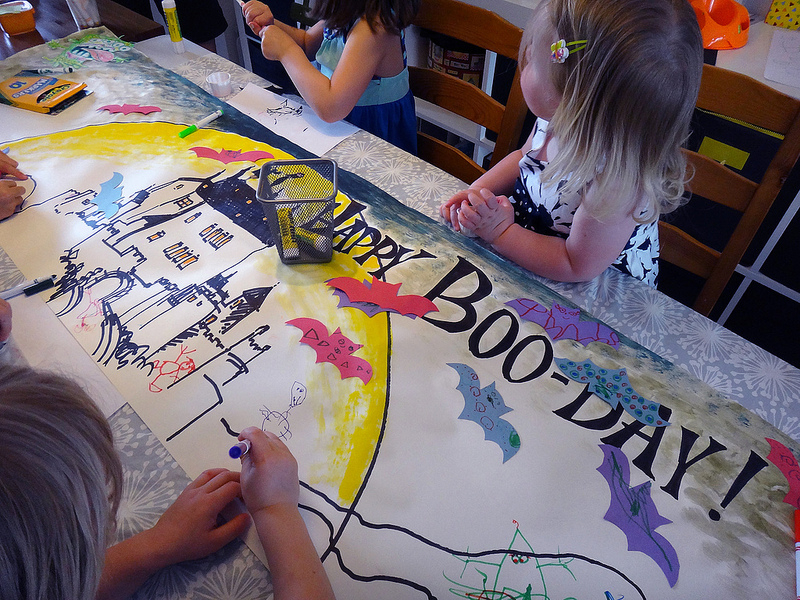 The party craft was a giant 8 foot wide poster. 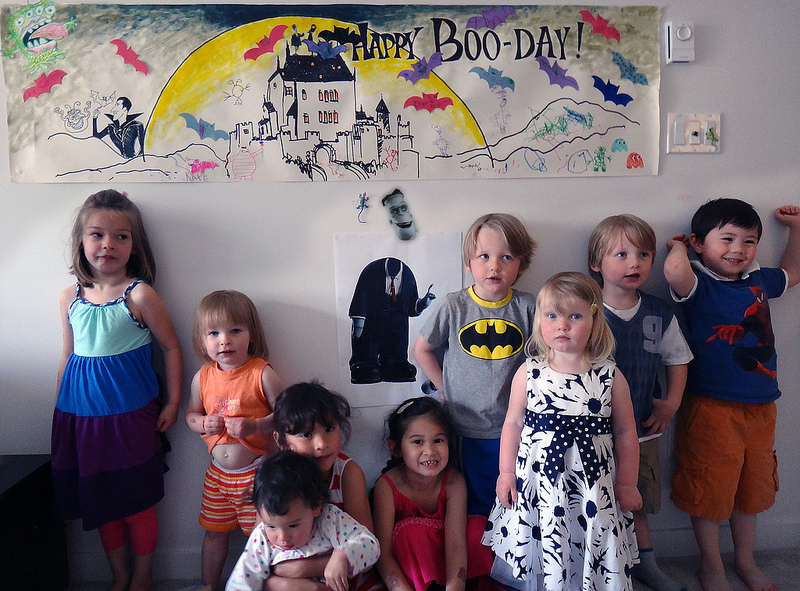 Each kid drew a monster and decorated their own bat. Even some parents joined in the fun. In the end, the mural was like a HUGE card for Jade. Jade and her happy friends with their finished product. Jade was the 2nd closest. The game was a “monstrous” hit with all the kids !! 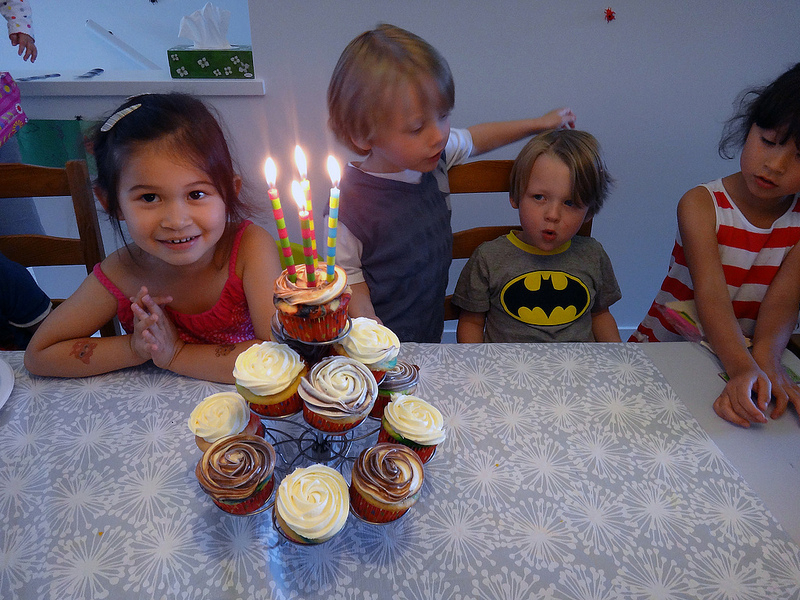 Of course, no party is complete without some sugary goodness. 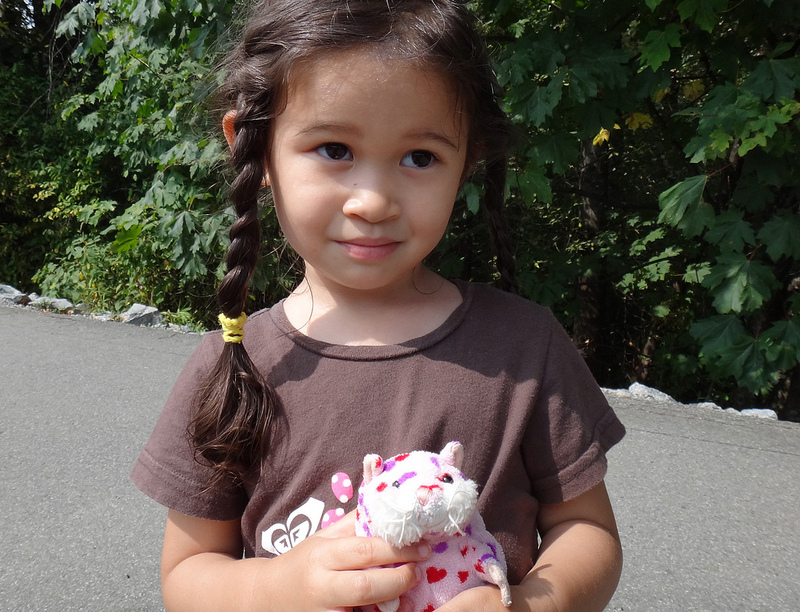 Jade had a great time but was COMPLETELY exhausted by the end. She went to bed at 4:30 that afternoon … And didn’t wake up until 5:oo the next morning !! This is an old image Jade and I created together. Sometimes, we like to make random marks and see what happens. The lines are drifting off to sleep … going to dreamland. 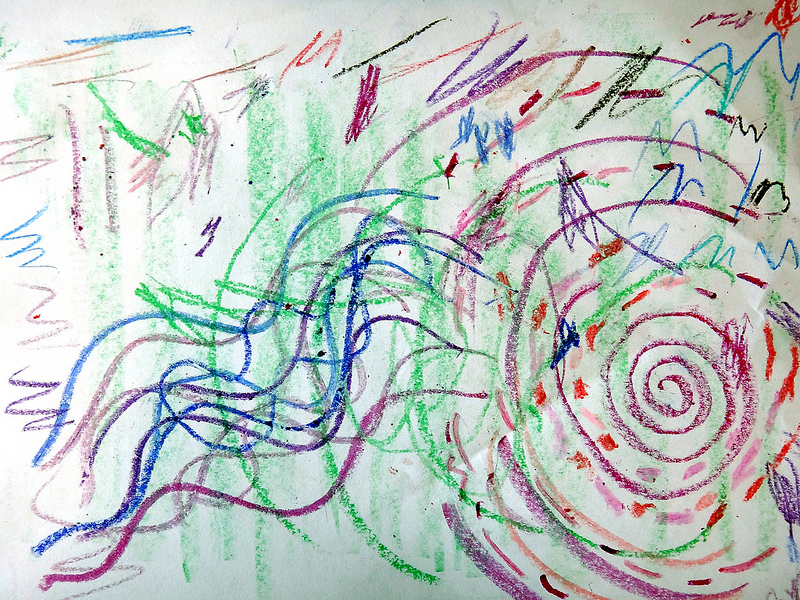 Our family almost always paints or draws at our kitchen table. 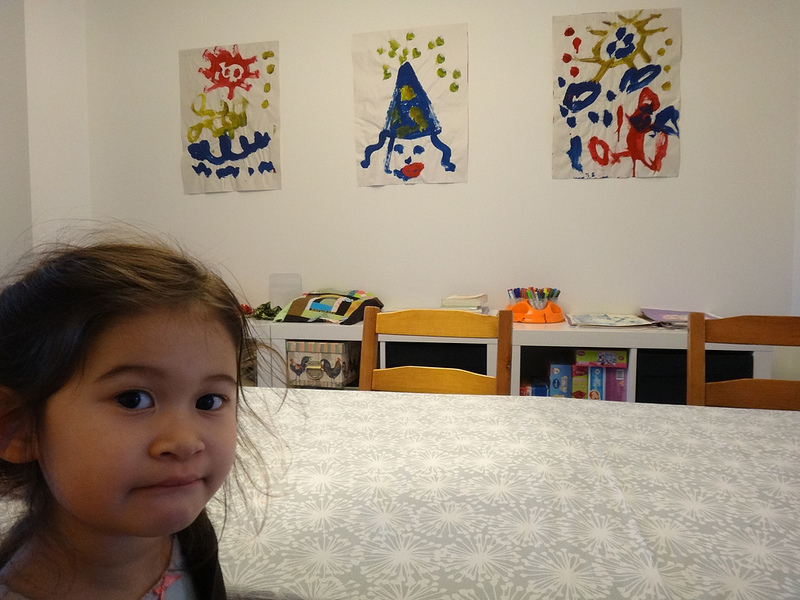 We’ve thought long and hard about how to best integrate our family’s art space and material. 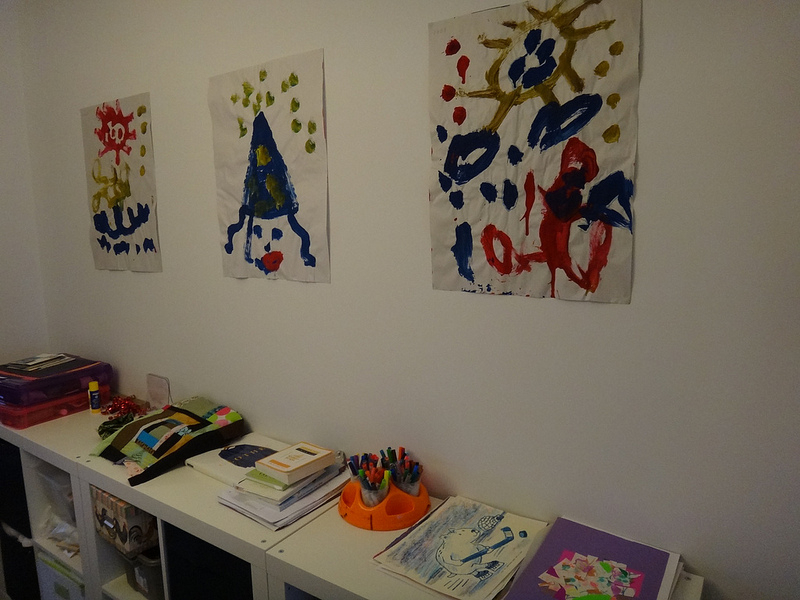 Firstly, we wanted to incorporate Jade’s art into the work space. We also wanted our art resources / materials to be easily accessible. 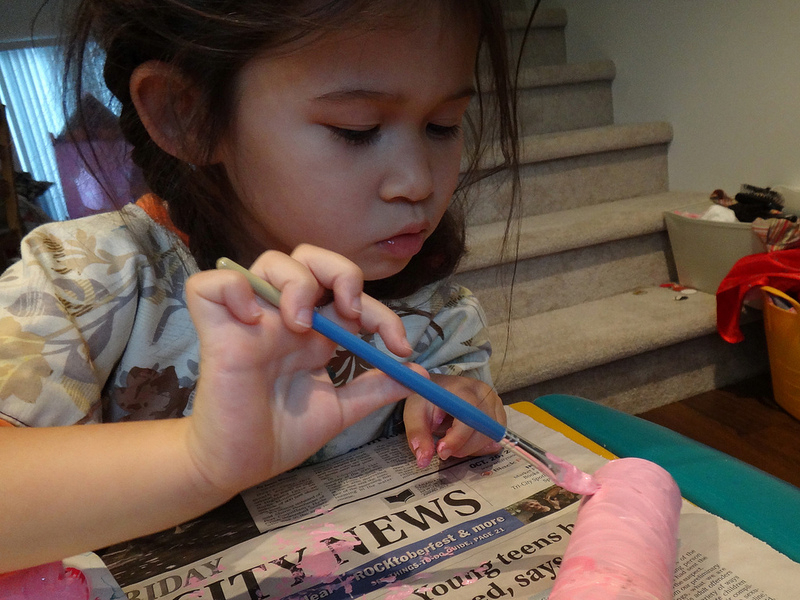 For a final touch, we envisioned Jade’s paintings in our living room. Last month, we went to Ikea and purchased some Expedit bookshelves. For us, it’s a perfect space solution. 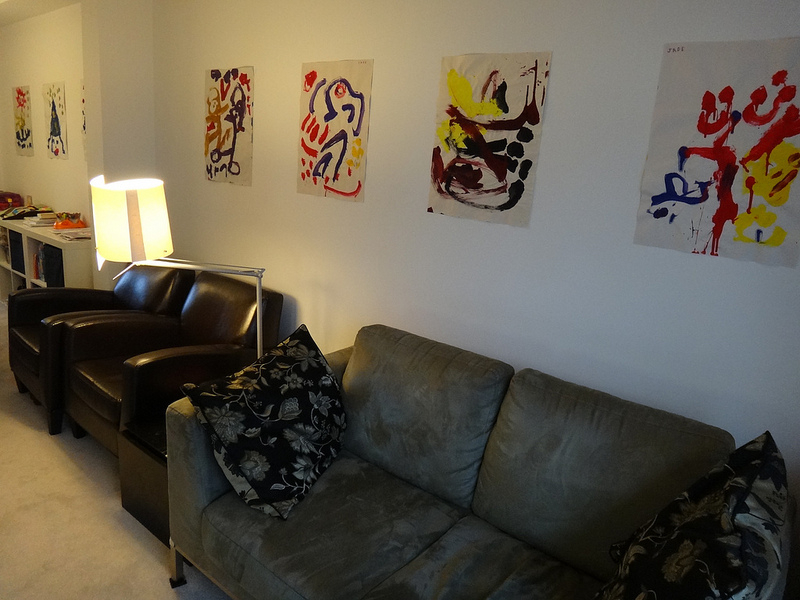 Today, I put up Jade’s art in our living / working area (pics below). Jade’s mom made these great reindeer antlers for Jade. I can’t believe she made it in crochet! Jade was really excited to wear it to her StrongStart Christmas Party. 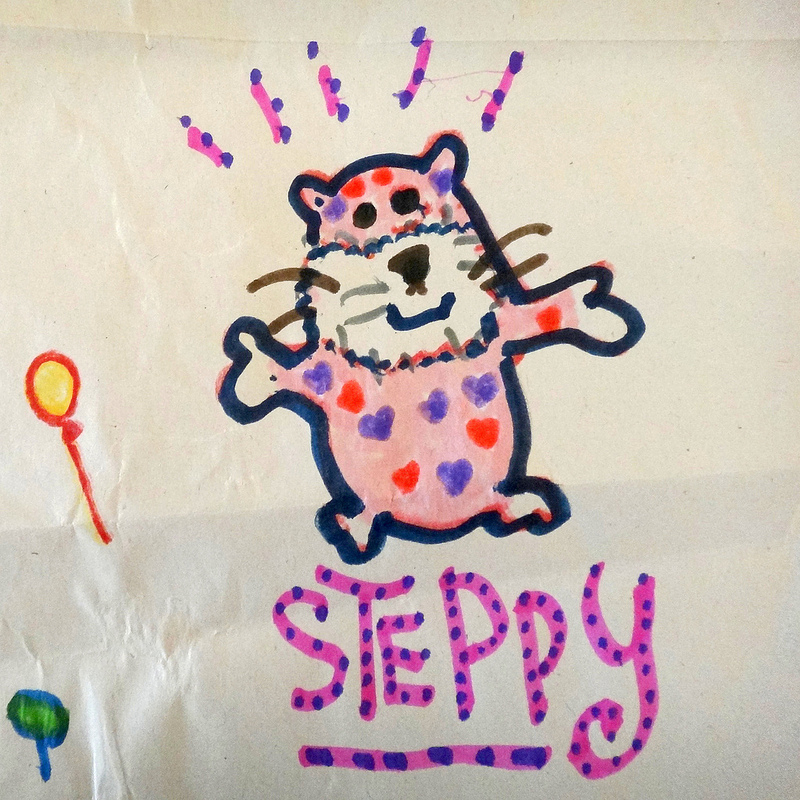 “Steppy” Steps Into The Spotlight! Steppy is a little hamster and she’s my daughter’s new favourite toy. 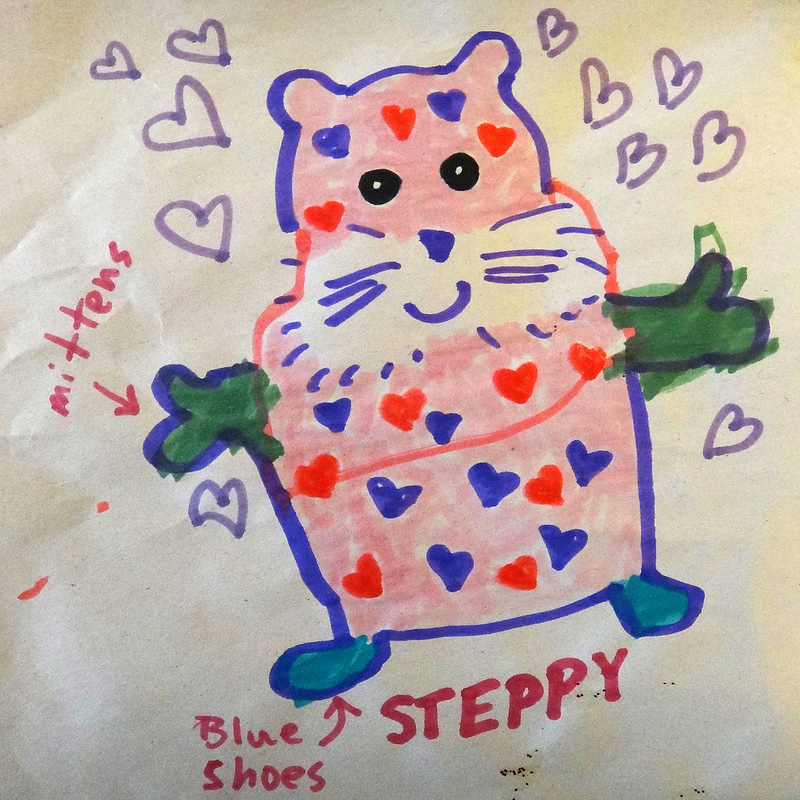 I’m always hearing “Draw Steppy.” Jade likes to add new features (mittens, shoes, etc). 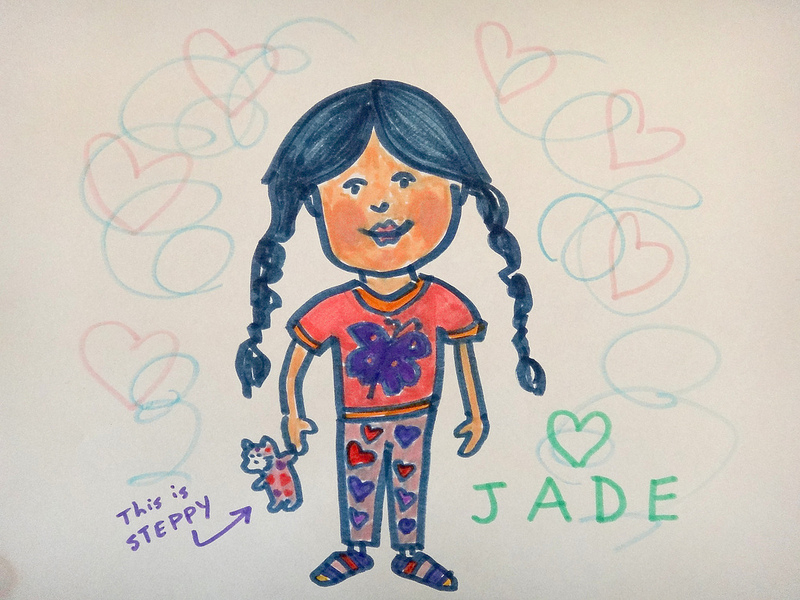 Wherever Jade goes, her friend Steppy is always there. They’re great buddies. I played Ricky Lee Jones’ song “Chuck E’s In Love” and we switched the lyrics to “Steppy’s In Love.” Jade thought it was hilarious. 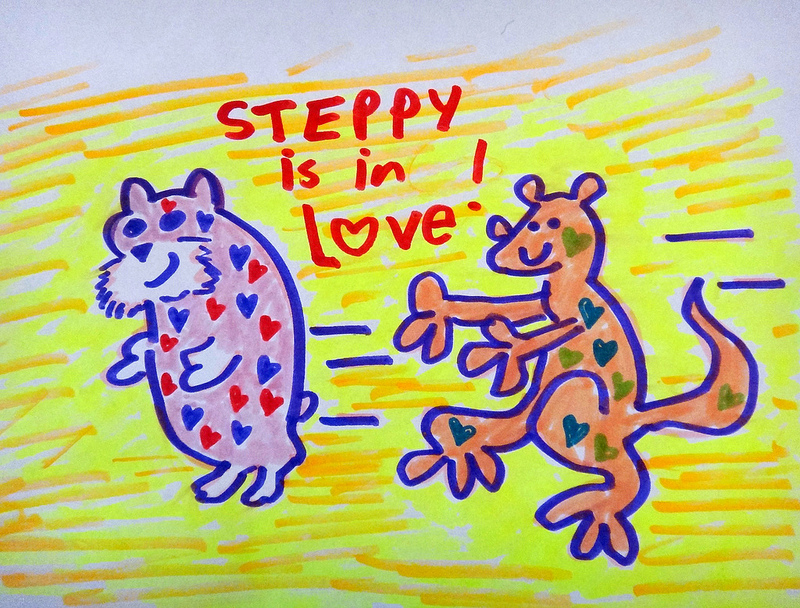 In the drawing (above), Joey the hamster is chasing Steppy. (Joey likes when Steppy plays hard to get). 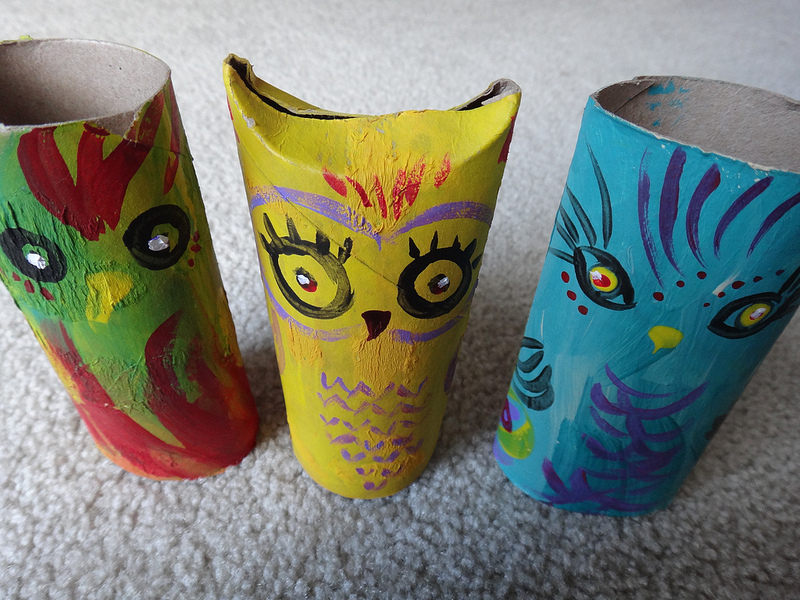 Steppy is always creative, street savvy and super sassy. 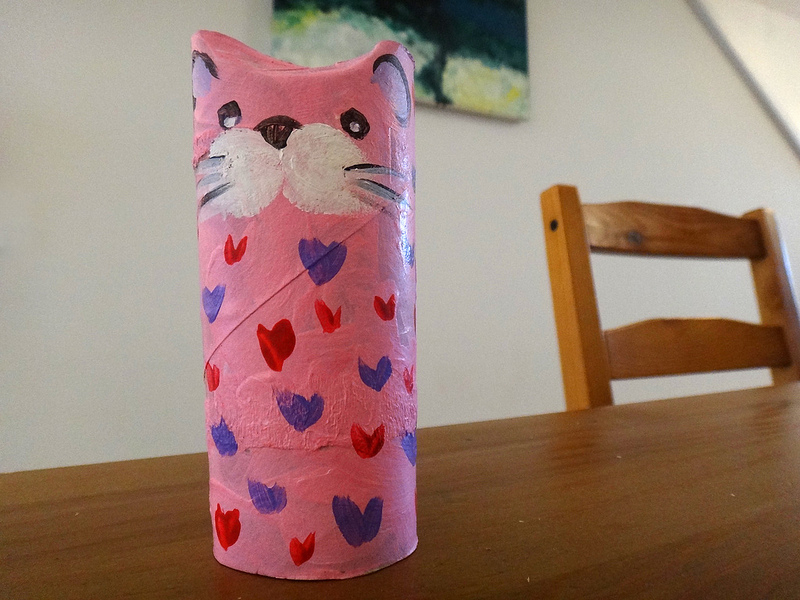 Jade painted the pink base layers (above) and my wife fine-tuned the details. 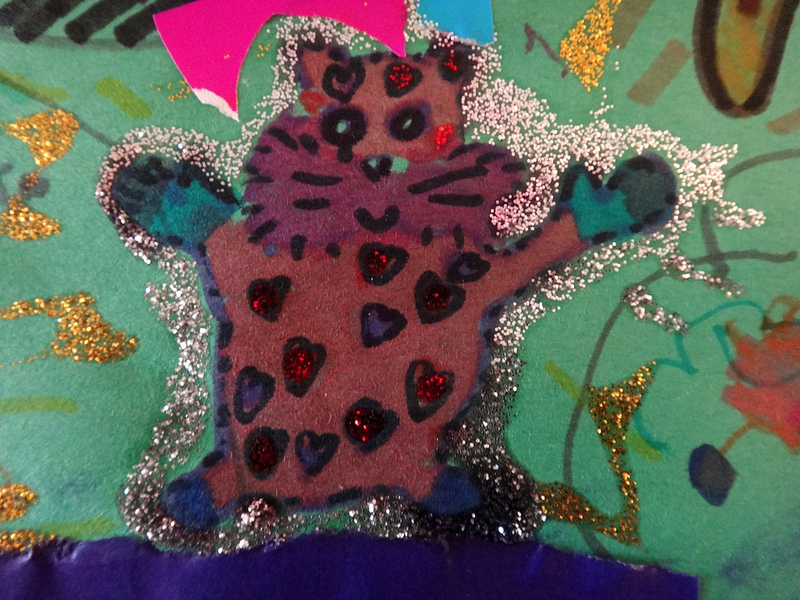 Steppy is very comfortable in glitter. At our home, Steppy is truly a star. 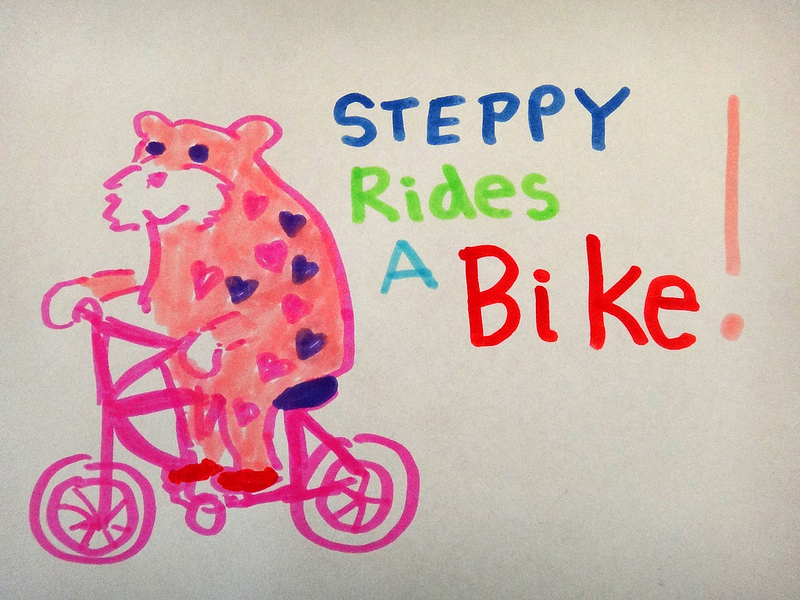 Steppy is always sporty and active. Recently she learned to ride a bike. 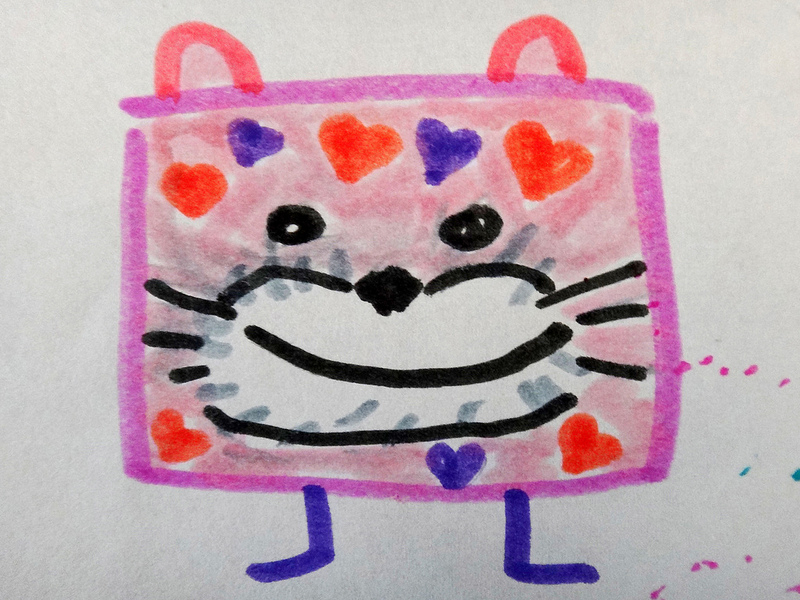 We also created a “Big Block Singsong Steppy” and we substituted the lyrics “Happy” to “Steppy.” It’s now Steppy’s unofficial theme song. 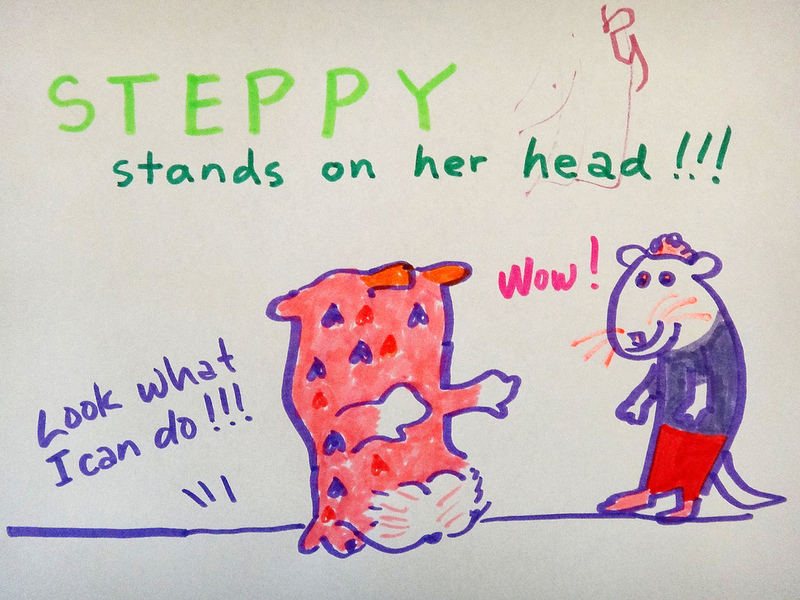 Steppy is extremely talented and can even stand on her head!!! Steppy and Jade … Best Friends Forever!!! A rare interview where Steppy dazzles the camera! As you can see, Steppy is the real deal!